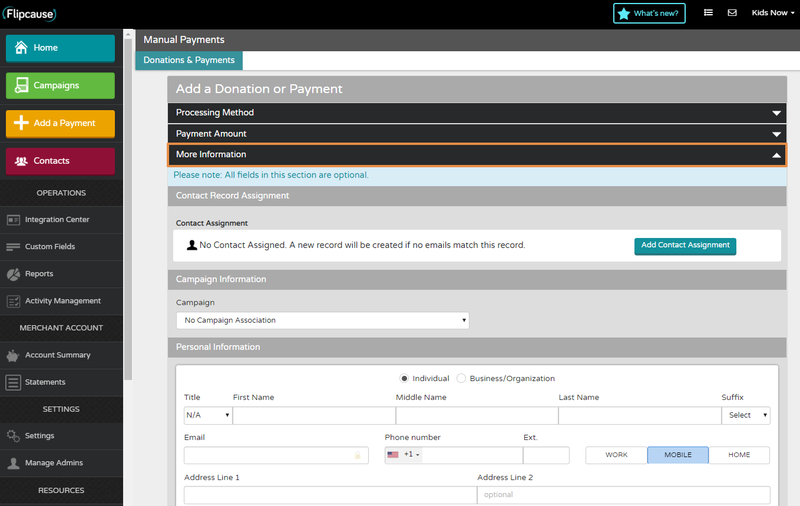 The Recurring Donor Management Dashboard acts as a manual gateway for adding recurring donations. For instance, if you have a supporter on the phone who would like to become a recurring donor, you can set up their recurring donation within the dashboard. 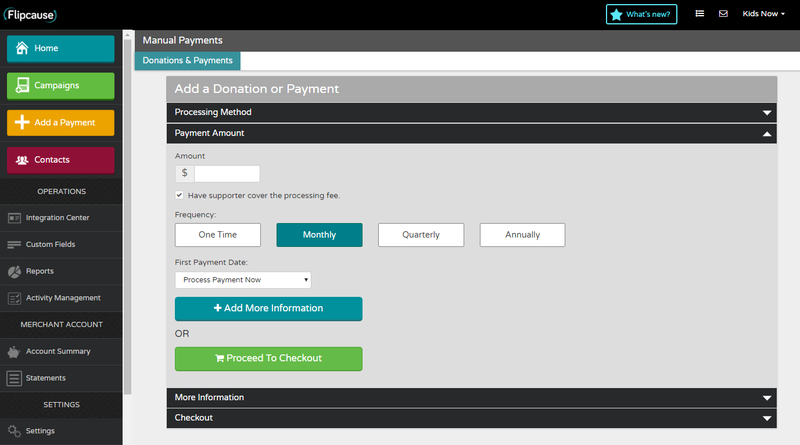 To add a recurring donation, go into Activity Management and click the Add Recurring Payment button. You will be taken into the Manual Payments flow. Here you will be prompted to choose your Processing Method. 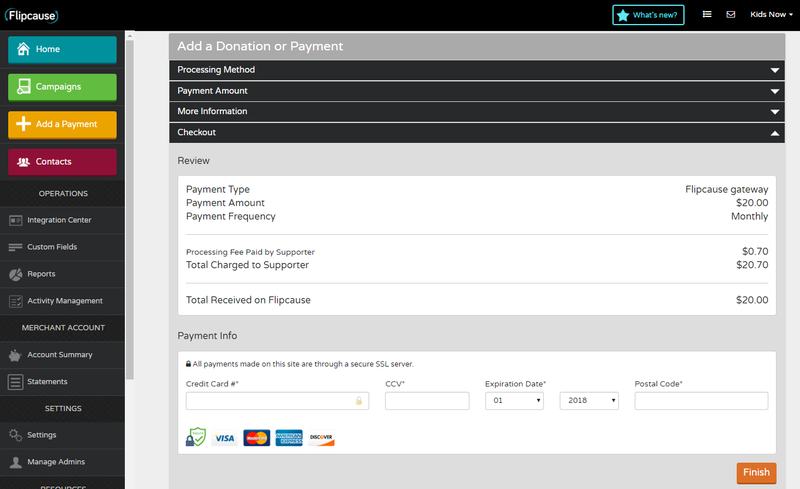 Choose "Use the Flipcause Gateway to process this payment"
Add the amount and frequency. If you choose a recurring frequency you will be given the option to process the payment now or set the first payment to process at a later date. Click +Add More Information to continue. Receipt Info - Add what information you would like the email confirmation sent to supporter to contain such as a custom message, tax-deductible amount and disclaimer. In the final Checkout section you will see a summary of the payment. Here you will enter the supporter's payment information. Click Finish. And VOILÀ! You’ve just added a recurring donor.